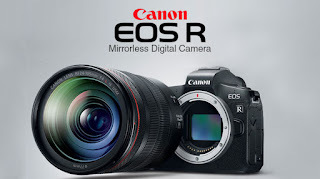 The modern DSLR camera is embedded with at least two focus systems for assisting the photographer with through-the-lens autofocus (Phase Detection) and via the LCD (Contrast Detection) and at times the option to manual focus. In this book the author takes a look at the Canon, Nikon and Sony focus systems with detailed descriptions and illustrations about various configurations, options and settings. 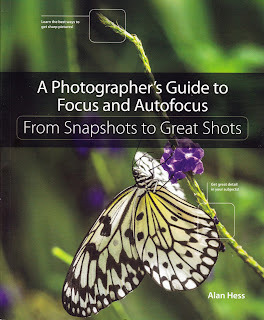 This well-written and organised book should assist photographers from all different genres, irrespective of whats in front of the lens; it will either be captured via autofocus or applying manual focus, or manual focus override (in autofocus mode). Many images throughout the book (mostly Canon or Nikon) are well supplemented with detailed EXIF data: Aperture / ISO / Shutter Speed information from in-camera settings together with body used and selected lens focal length. 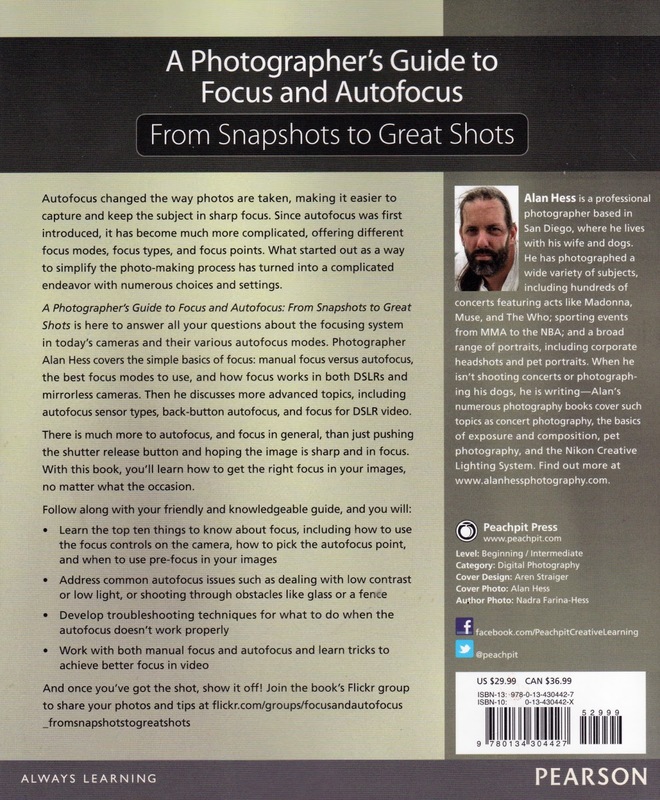 Focus systems are essential components of any camera system and this 170+ page guide book should be of high informative value to the new / amateur photographer serious about understanding focus and autofocus systems. 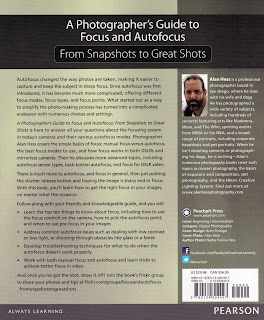 Although this book is a very good reference guide to the various autofocus and manual focus options that the photographer could select from when focusing on fast action, a small flower or even a long exposure it is not an advanced interpretation / guide for detailed autofocus options / configurations in Canon, Nikon or Sony DSLR bodies. This book is recommended for any new / enthusiast photographers who wants to learn much more than just the technical specifications, configurations and selections covered in the bundled camera users manual. A Photographers Guide to Focus and Autofocus From Snapshots to Great Shots is here to answer all your questions about the focusing system in today's cameras and their various autofocus modes. Photographer Alan Hess covers the simple basic of focus: manual focus versus autofocus, the best focus modes to use, and how focus works in both DSLR's and mirrorless cameras, Then he discusses more advanced topics, including autofocus sensor types, back-button autofocus and focus for DSLR video.